I watched Beer Wars Brewed in America tonight in an under-filled theater in Arlington, Virginia. I would guess there were 120 theater-goers, an enthusiastic 120 (even though a member of the beer press low-balled the figure at 35). The documentary was shown simultaneously in approximately 440 venues across the U.S., preceded by a live lead-in broadcast from the L.A. screening, and followed by a live broadcast of a panel discussion. It had been heavily marketed via Web 2.0 means: Facebook, Twitter, and the like. Any medium chronicling the craft beer industry is worthwhile, if just for that. 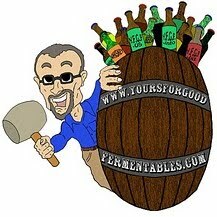 In the craft beer world, we seem to shove out the old and embrace the new, almost a monthly purge. There is very little organized history or memory of the men and women who make the beer we love. As a paean to the craft and business I love —artisinal beer— Beer Wars is a valentine. But as a documentary, the movie is flawed. Director Anat Baron seems to have set out to prove a point, rather than to research a situation. For example, after the movie there was a live broadcast panel discussion hosted by Ben Stein (and why Ben Stein?). Panelists were Charlie Papazian (of the Brewers Association), Greg Koch (Stone Brewing), Sam Calagione (Dogfish Head, featured in the film), Rhonda Kallman (New Century Brewing, featured in the film), historian Maureen Ogle, Todd Alstrom (BeerAdvocate.com), and the film's director Anat Baron. Stein challenged the panelists as to why small brewers were intrinsically different than macro-brewers. The panelists failed to respond in a convincing manner. The answers —it's fun, we're passionate, we're different— don't really explain million dollar expansions. The protestations about growth seemed a bit disingenuous. The situation reminded me of Ted Kennedy's interview when about to run for President in 1979. He fumbled about, with no cogent answer, when Roger Mudd asked him: "Senator, why do you want to be president?" The exception on the panel was Maureen Ogle. Her answer: Between macros and micros, there's not much difference in goals, but a big difference in products (and money). I spotted five Washington/Virginia/Maryland beer folk in the movie. Dave Alexander, proprietor of the Brickskeller and RFD, is seen at the Great American Beer Festival, as is Devon Arloski, southeast rep for Dogfish Head. There is Betty Buck, owner of the eponymous beer wholesaler in Anne Arundel County. Marc Sorini, lawyer to the craft beer industry (McDermott Will & Emery LLP), talks about the sheer volume of state beer laws. And 'beer activist' Chris O'Brien discusses the unintended monopolistic consequences of the three-tier system. Before the movie, I drank a beer at the Rock Bottom brewpub with some of the stars of the local beer scene: brewers who, day in and day out, make the beer we enjoy. If their names are unfamiliar, it only reinforces my earlier point. L-R: From Capitol City Brewing: Christina McCarthy, Travis Tedrow, John Dykstra, Mike McCarthy, and me (not from Cap City!). Blogger Alan McLeod scoured the internets to assemble an array of posted opinions and Twittered reviews. Read the comments section of his post. Terrific film for the "mainstream" beer folks. 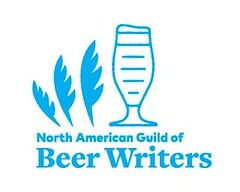 But was just preaching to the choir when it comes to us beer nerds. I said to my friends, I would have loved to go, but the 8PM start on a Thursday when I have to leave the house for work at 6AM on Friday, is a no go. The movie reminded me of a one sided Michael Moore movie (especially since AB/MillerCoors didn't provide any positive feedback). Enjoyed the film in Dubuque Iowa. Only 25 - 30 people at the theater. Didn't see any local promotion ahead of time. The film mixed graphics, old footage and new footage rather well. The music score added to story, I caught my foot tapping more than once.